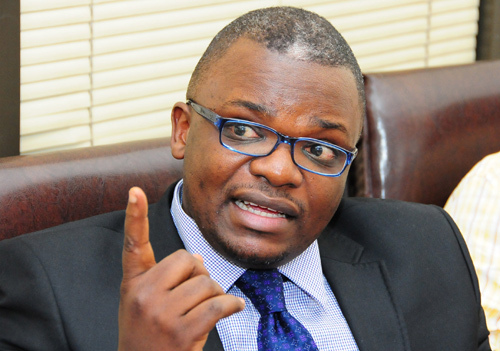 KAMPALA- A renowned city lawyer Mr Fred Muwema has dragged the Uganda Revenue Authority to court over imposing a travel ban on him. Mr Muwema in his court documents before the High Court civil division claims that on July 12, 2018 was prevented from going on with his journey to Nairobi, Kenya at Entebbe International Airport due to the travel ban issued by URA and the immigration officials of the Attorney General (AG) who was jointly sued implemented this. The advocate says that he went through the immigration security checks and got a boarding pass for the aforementioned flight and all due processes were followed, however when he got to the next checkpoint, immigration authorities of AG stopped him that he could not go any further as it had been discovered that he was under a travel ban by URA although he was initially cleared and his passport stamped for exit out of Uganda. “On inquiring as to why he could not proceed with his journey, was shown a communication by URA to Immigration Control Directorate, Ministry of Internal Affairs dated March 12, 2018 directing such a travel ban against him and the latter was seeing it for the first time ,” Mr Muwema narrates in the court documents. “The said letter issuing the said travel ban alleges that I owe over Shs 4billion as an outstanding tax liability whereas, in fact, I have no tax due in such amounts as claimed or at all,” he further narrates. Mr Muwema states that on further investigations on the foretasted letter issuing the impugned travel ban, he discovered that the use of statutory powers under the Income Tax Act, Cap 340 Section 105 (1) to restrict his movement out of Uganda is unfair, unjustified and unlawful and further an infringement on his rights and freedoms protected under Articles 29 (2) and 40 (2) of the constitution. He claims that he moves in and out of Uganda to carry out business and in the near future, later in September, October and November 2018 he has pending trips outside Uganda but these will not be realized unless the travel ban is lifted. Through his lawyers of M/S KSMO Advocates, Mr Muwema wants a permanent injunction restraining URA, AG and or their servants, officials, agents from implementing the travel ban. He also wants exemplary damages for the violation of his rights and /or freedoms and inconvenience, general damages for business loss, costs of this suit, interest at 25% per annum from the date of filing this suit till full realization.